Blaine Jones Law, LLC has worked for years on behalf of clients to help them obtain winning outcomes. As an experienced Pittsburgh criminal defense and personal injury lawyer, Attorney Blaine Jones has handled every type of criminal case and every type of criminal charge along with a wide and diverse array of personal injury and wrongful death cases. Our firm is dedicated to our clients and their needs in order to rectify whatever situation arises. We are confident that when a client retains our legal services, they are getting the best legal representation! Growing up in Western Pennsylvania, Attorney Jones achieved great success while pursuing various academic goals. In high school, he earned a full athletic scholarship to attend Howard University, a highly prestigious institution in Washington, D.C. While attending Howard University, he not only excelled in athletics by being named a two-time MVP and four year starter but, he also had a double major graduating with two different degrees. Attorney Jones was awarded the coveted Bison Scholar award. This award is earned by a select few scholarship athletes that achieve both academic and athletic excellence! This was not enough for Mr. Jones, as he earned another scholarship this time for academics, to attend The Golden Gate University School of Law in San Francisco, California. A school known for having an exemplary litigation program giving students a solid understanding of the courtroom. During his time there, Mr. Jones earned himself a second academic scholarship and pursued his specialization in Litigation (courtroom practice). Attorney Jones gradauted from law school with distinction in Litigation! He was so successful in the Litigation program that he was chosen to represent his law school at the American Trial Lawyers Association (A.T.L.A.) competition that takes place in Southern California. Additionally, he was selected by his professor to sit on the Moot Court. As a hard-working student, he was awarded this select honor after earning the highest grade in his class on a brief he had been working on the entire school year. Attorney Jones continues to remain highly dedicated to every case and situation he takes on; always striving to achieve the best possible results for his clients. Mr. Jones firmly believed that practical experience coupled with theoretical teachings within the classroom would be most beneficial in helping his clients in his legal career. With that in mind, he applied and was selected for a highly coveted clerkship with the Honorable Judge Horace Wheatley. Judge Wheatley presided over a courtroom in Alameda County Superior Court in Oakland, California. While clerking with Judge Wheatley, Attorney Jones observed numerous serious civil cases and briefed various arguments and cases presented to the court by the practicing attorneys. Once he had graduated from law school, he went on to work at a law firm in Pittsburgh Personal Injury Law Firm which handled a high volume of personal injury and wrongful death cases. This gave him a better chance of learning how the court system worked, but yet he wanted to extend his practice to other areas of law. 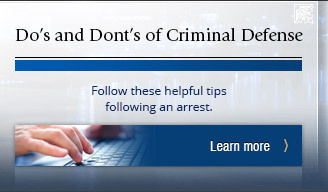 Attorney Jones wanted more trial experience and thus began working as a criminal defense lawyer in Pittsburgh. 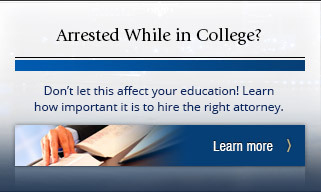 Since that time, Attorney Jones has represented over 10,000 clients. In the course of this representation, he has become extremely familiar not only with courtroom procedure, but also with courtroom strategies. 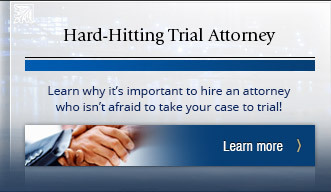 He has successfully conducted over 50 trials and thousands upon thousands of preliminary hearings. Additionally, Attorney Jones has represented a long list of high-profile clients appearing on numerous television talk shows. Attorney Jones is so highly respected as one of the TOP LAWYERS IN THE CITY OF PITTSBURGH that he is routinely called to give "EXPERT LEGAL OPINION" to all of the local news channels. 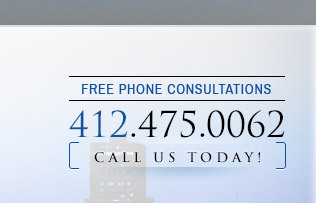 Attorney Jones is a proud member of the Western Pennsylvania community. He is often asked to speak at various events as well as to local high school students. Attorney Jones is honored to have the opportunity to touch so many people's lives. Additionally, Attorney Jones is a member of the Omega Psi Phi Fraternity, Inc.
With a reputation as a hard-hitting and aggressive Pittsburgh criminal and personal injury lawyer, Attorney Jones will not hesitate to fight for your rights and defend your case until the end. He has achieved numerous successful verdicts for past clients in both jury and non-jury trials. Highly experienced and diligent in his efforts on behalf of every case he takes on, clients can rest easier knowing that Attorney Jones will passionately strive to create a solid defense that will aim to diminish your charges or clear your accusations entirely. Contact our Western PA Criminal Law and Personal Injury Law Firm today to speak with us about your particular situation and to schedule a consultation. Upon graduating from law school, Attorney Porter was hired by one of the most prominent and successful lawyers in the country, Willie E. Gary. Marwan trained directly under his mentor for approximately 10 years and learned to develop, process and litigate multi-million dollar cases. While working as a law clerk at the Gary Law Firm, Marwan assisted the firm in securing a $139,000,000 trial verdict against Anheuser-Busch and as an Attorney was instrumental in representing hundreds of clients in the $800,000,000 mass tort and class action division against big tobacco. Marwan continues to work closely with Willie Gary, and acts as co-counsel in several Gary Law Firm cases. Marwan is a proficient litigator specializing in litigating wrongful death, catastrophic personal injury, discrimination and business litigation cases, including tobacco litigation and complex contractual disputes. He is licensed to practice law in multiple states including Pennsylvania, Florida, New York and Washington, D.C. and works with several attorneys throughout the country to assist in funding and maximizing the value of their cases. As a result of his legal success, in 2011 Marwan was named one of the top 40 lawyers in the country under 40 years old, and he was invited for membership into the Million Dollar Advocates Forum whose membership is limited to lawyers that have achieved verdicts or settlements in the amount of one million dollars or more. Marwan is a member of Kappa Alpha Psi Fraternity Inc., The American Bar Association, National Bar Association, and the Florida Justice Association.